By the time I entered the Dome of the Rock I can only describe myself as being shook up. 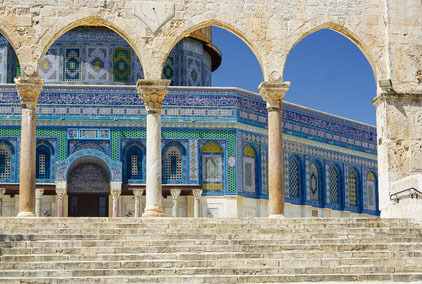 The building structure of the Dome of the Rock is a masterpiece of architectural beauty. Its majestic and elegant shapes speak of an homage to something sacred as all shrines do. The Western Wall and the Dome of the Rock demarcate the holiest of shrines for Islam and Judaism. In the middle of the temple is this large rock believed to be the rock of Mount Moriah. 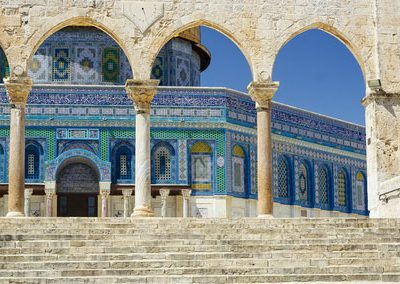 The Jewish tradition names this “the Foundation Stone of the world.” The Dome of the Rock is one of the holiest Islamic sites and was built 1300 years ago and is said to be the place where the Prophet Mohammed visited during his ascension with the Archangel Gabriel. Also on this site King Solomon built the First Temple 3,000 years ago and Herod rebuilt the Second Temple. The historical significance of this area is mystifying. As I stood looking at the rock, I felt as if I was falling underground. Then I was beneath the ground, once again the past became the present and I heard the loud angry screams, the theological differences, the discrepancies of information. I saw the purposeful destruction of manuscripts, papers that would alter history as we know it, all drowned in the voices of argument, intrigue, and the lust for power. I wanted to faint from the overwhelming sense of despair of egos who bypassed the nature of the truth of the origin of religion in favor of egocentricity claiming sovereignty of the dominion of all souls on earth. We hear the respectful tone of tolerance among the belief systems, then why do we wage an ideological war on one another? Why is there no application to the principles, the unchangeable Absolutes that apply to the whole of the human race? 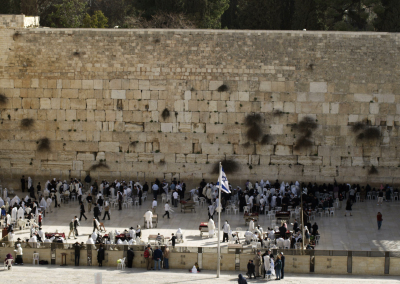 What agenda drives the conflict in Jerusalem? It is certainly not governed by the principle of love, harmony and peace as the tone of tolerance would imply. Is it because we are constantly incited with misinformation and underlying hatred combined with superstition to keep the conflict going for another purpose. The Scripture quoted from all religions has a golden thread of wisdom within them, but the words are empty and without meaning until you put them into practice. One religion is not better than another, but I am saddened by the opposing extremities of hatred within the City of Jerusalem. Each square inch of land is a sacred shrine riddled with conflict. 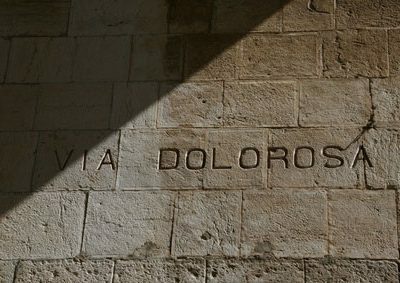 The silent testimony of the original stone structures would tell a different story if excavated and the walled up passages within the city were opened. The fragments of religious history bears the scars of division, supremacy, and painful existence instead of the truth of the religious experience itself. Indoctrination of ideas attempts to impose an idea. If people were to actually return to experiencing religion instead of talking about it and preaching they would come face to face with their true spiritual nature from within. Then they would each be true to the religion they believe in and the different religious beliefs would honor the spiritual, the unchangeable, the principles of love and harmony and the right to live in peace from an oppressor. “There never was a war when there was love.” A line from a poem I wrote. I went out of the Dome of the Rock and into the bright sunlight. I sat down on the old ruin steps still standing today, under the archway and my thoughts raced on. I could not shake the feeling, no matter how much I tried to convince myself I was in the present because the past of these events kept surfacing. Why? My tears of bewilderment ran down my cheeks as they do today. I cannot understand such a departure from the simple and the true changed into the complexity of those who deem it is their right to take from another in the name of a Deity. We are the human race and have our roots and origins in many places yet we have placed the origin within a shrine, or holy place, rather than within our hearts. 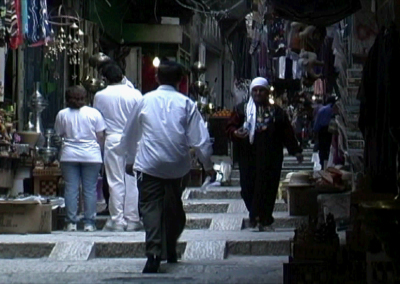 The experiences in the Old City of Jerusalem brought me into contact with two things. 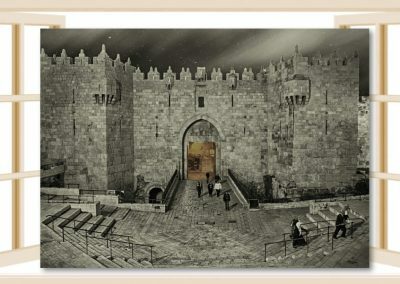 The first was an unshakable knowing I had lived in the Old City of Jerusalem in more than one lifetime, and the second, the glaring inconsistency of religious history. Professor James Tabor stood in the garden of Gethsemane as a teenager visiting the Holy City with his family before the Six Day War. As he stood in the garden he wondered what really happened, where did Jesus walk, and this prompted within him a quest to find out. He became the Chair of the Department of Religious Studies at the University of North Carolina at Charlotte. His book The Jesus Dynasty is well worth reading. he is one among many authors whose books do a service for those who do want to know. I am not a professor, but I was twenty-one when I stood in places in the Old City that shook me to the core of my being. My quest in this lifetime is of a spiritual aspiration which I am unable to ignore. I had to find out why I felt so sure I had lived in Jerusalem before this lifetime. As a child I remember pouring over the pictures of the ‘olden times,’ completely fascinated with what life was like in that time period. I would find myself ‘inside the picture’ and the present would momentarily disappear from me. I thought everyone had this experience when they looked at pictures from the past and assumed there was nothing to it until I discovered the reality of preexistence in an afterlife before this life. Preexistence has been given a higher attribute in religious ideology. A particularly highly evolved soul was said to have existed with God and he would send them to earth when it was the right time for some special purpose. Now don’t get me wrong, I am not attributing preexistence to this kind of credential for being here on earth. In fact, I came to understand the ghosts of history are an entirely different experience from the one that is offered by religious ideology. The problem with religious ideology it is full of invented ideas that seem to elevate certain persons within a given framework such as a priesthood. I had encountered the spirit from the afterlife so that was preexistence in my mind. Preexisting means having existed before coming into this physical existence. In my usual pragmatic way I want answers to these issues, however religious history does not supply answers. To find these answers you have to become a student of religion. Well, this is the subject and there is no way I can offer a brief explanation of religion! If I did, you and I would argue about it, because it divides us rather than unites us. To uncover the past as it really happened is difficult, the historians and archaeologists literally dig for the truth. As I read history, I see myself in the time zone I am reading about as if I just stepped into that particular century. This does not happen with everything I read and interact with, but when it does I know all about it and can struggle to return to the present. Now I am not speaking of the hero or the heroine syndrome, I speak of the characteristics within me that I recognize in this lifetime. I wrote about my experience in The Ghosts of History that explains this further.